There are numerous folk tales and legends surrounding Loíza, but one that has lasted through the ages is the story behind the name of the town. Apparently, Loíza is named after Yuiza, who was the only female taíno cacique (the native word for "chief") in the history of Puerto Rico. Even more remarkable, there are records of only two female caciques in all of the Caribbean. The town and municipality of Loíza remain the largest culturally Afro-Caribbean community in Puerto Rico, and their customs and culture retain strong ties to their historic heritage. Part of the East tourist region of the island, it's often passed over for other, more popular day-trip destinations from San Juan, like El Yunque and Fajardo. But the town is well worth a visit, for a few reasons. Among these are the chance to sample a more African-influenced brand of Puerto Rican cuisine, check out a truly historic cavern, and take a peek at the oldest active parish church on the island. Loíza shines brightest during its annual patron saint festival, in honor of Saint James, or Fiestas Tradicionales de Santiago Apóstol. A week-long event held every July, it is one of Puerto Rico's most colorful, vibrant and culturally significant celebrations. Stretching out from the Plaza de Recreo, the festival is an explosion of costumed Spanish knights and the vejigantes they are soundly "defeating," parades, concerts and great food. The musical star of the show is the percussion-heavy bomba y plena, an African-origin music style that originated in Loíza. While Loíza won't dazzle you with its tourist offerings, there are some cultural and natural gems here beyond its iconic festival. 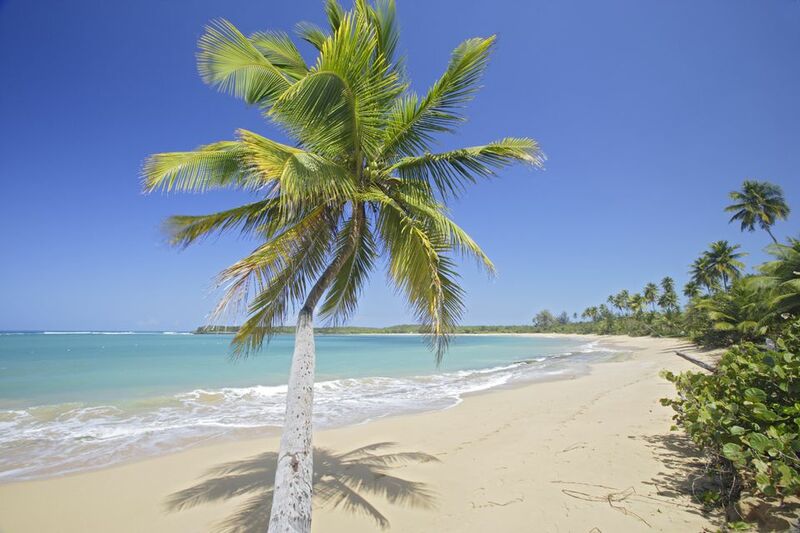 But one of the reasons to visit is to enjoy the journey to Loíza; because when you drive here, you'll pass through Piñones, the beachfront community of kiosks and local eateries that specialize in all manner of fritters, turnovers and other tasty finger foods. Kiosko "El Boricua" is among the most popular stops around. Also, while you're in the area, don't forget to order a coco frío, or chilled coconut water, from one of the many kiosks lining the road. The vendor will hack off the top with a machete and serve it fresh (some locals like it with a dash of rum, naturally). Coconut water is one of Loíza's main exports. The other reason people come to this part of Puerto Rico (like so many other parts of the island) is to find that perfect stretch of golden sand, whether it's shallow pools wedged between the shore and a sandbar that was practically designed for families, or isolated crescents of golden sand just off the road. You'll find both here, along with a large boardwalk and even a very pleasant bike trail (you can rent bikes at the COPI Cultural Center in Piñones. One of the highlights of visiting Loíza is the Maria de la Cruz Cave. This large cavern was excavated by archaeologist Dr. Ricardo Alegria in 1948 and became an important landmark for the artifacts found within, which offered evidence of the very first human inhabitants of the island, dating back to the archaic period. Taíno artifacts have also been found here, and the cave is believed to have served both a ceremonial purpose as well as a shelter for the early inhabitants during hurricanes and storms. You'll see signs for the cave along Route 187 shortly after you reach Loíza from the west. The other landmark in this region is the San Patricio Church, among the oldest churches in Puerto Rico. Located in the town square, the modest church was built in 1645 and has been listed on the U.S. National Register of Historic Places. Beyond its attractions, Loíza is important for its unique history, culture, and traditions, which it retains to this day. If you're looking for off-the-beaten-path adventure, Loíza and nearby Piñones make for a wonderful day out, just a short drive east of San Juan.